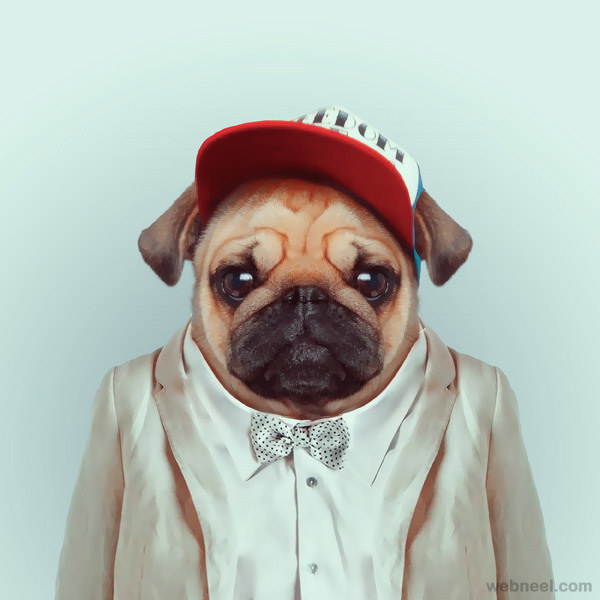 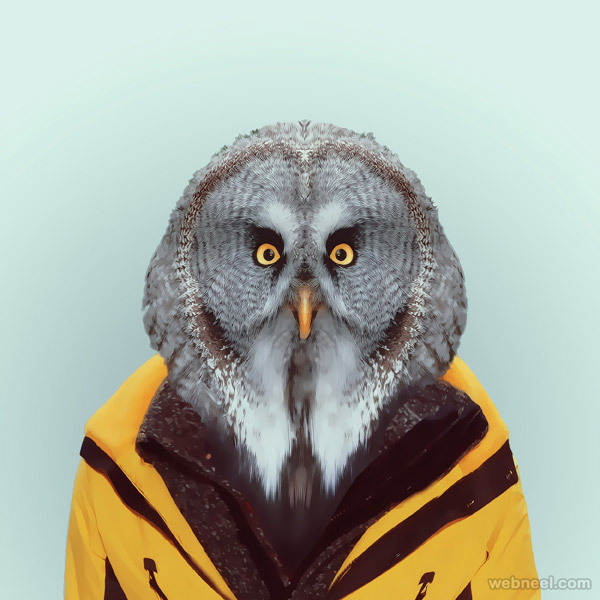 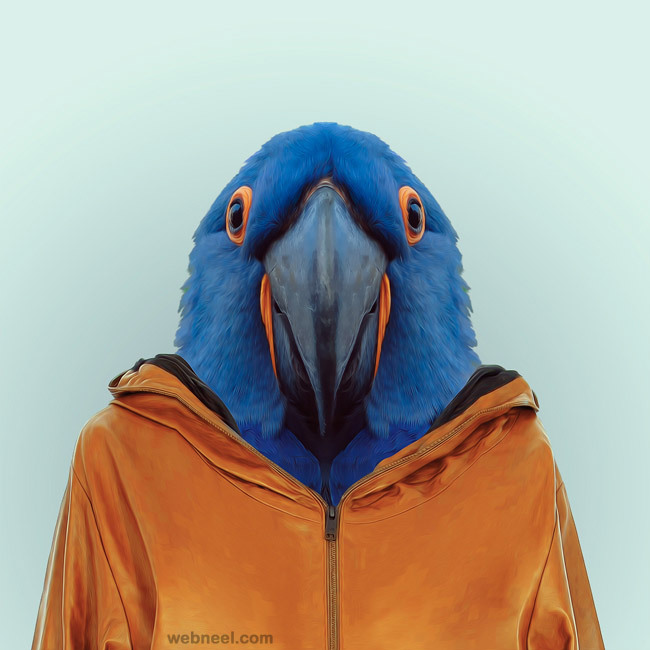 Funny Photo Manipulation : Spanish photographer Yago Partal's funny photographic creation featuring animals dressed as humans which he named as 'Zoo Portraits' has gone viral among viewers. 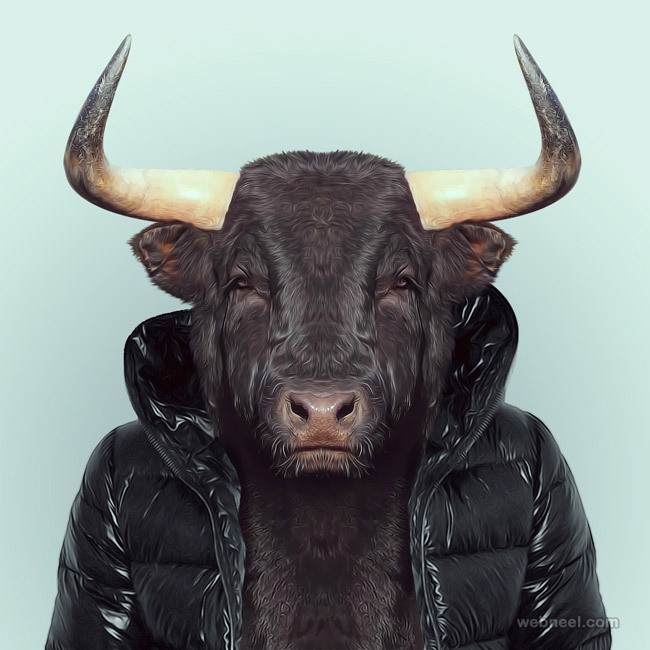 He is also an acclaimed visual and conceptual artist and designer who has created a huge number of important visual art and video works. 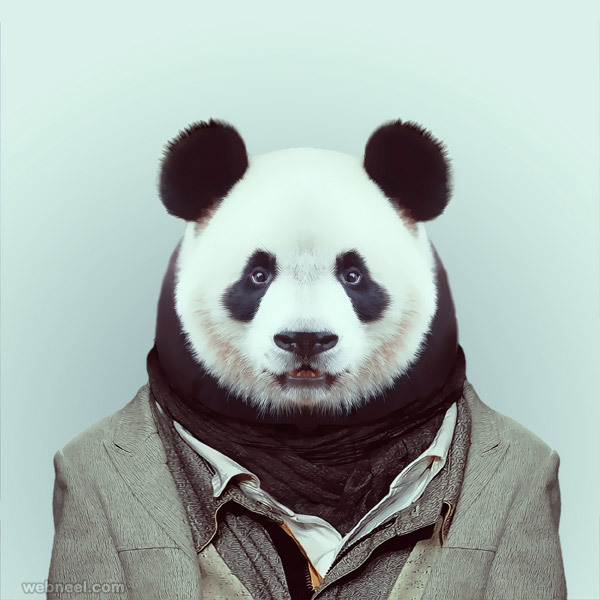 The project, according to Partal is an inspiration of wildlife, cartoons and fashion stories which he heard during his childhood. 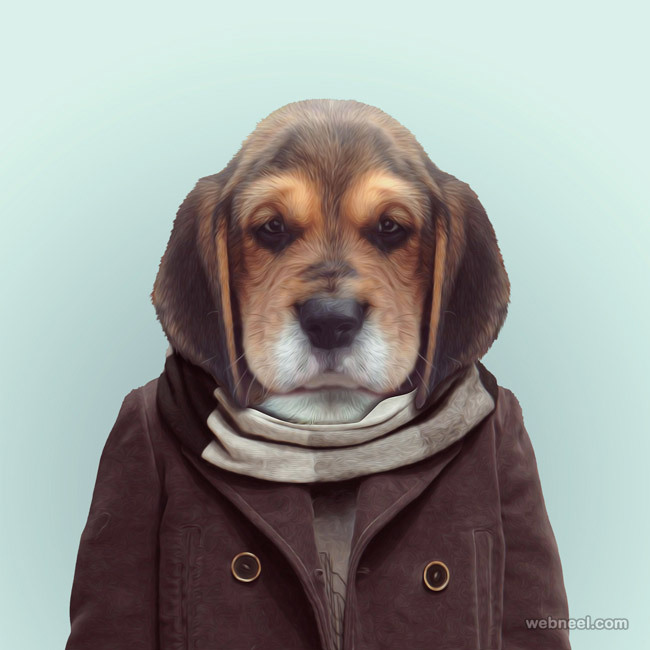 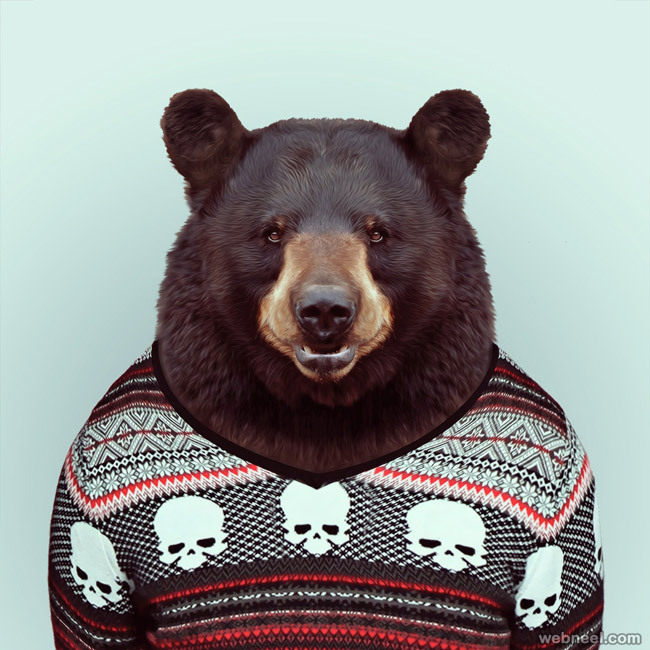 The funny photo manipulations are actually created by him to have fun and to relax from the routine work. 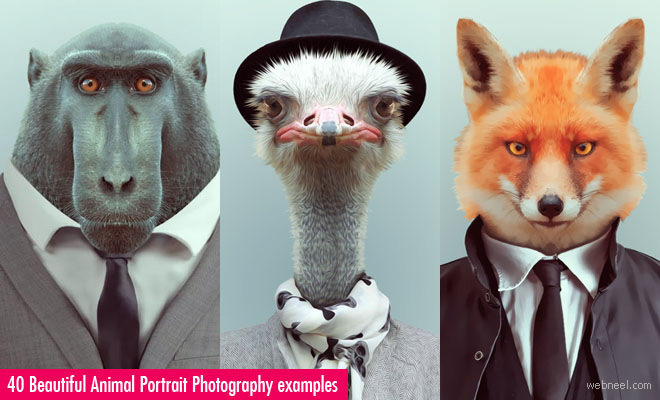 Partal admits that he was certainly surprised by the reaction of the viewers and the popularity of the animal mugshots. 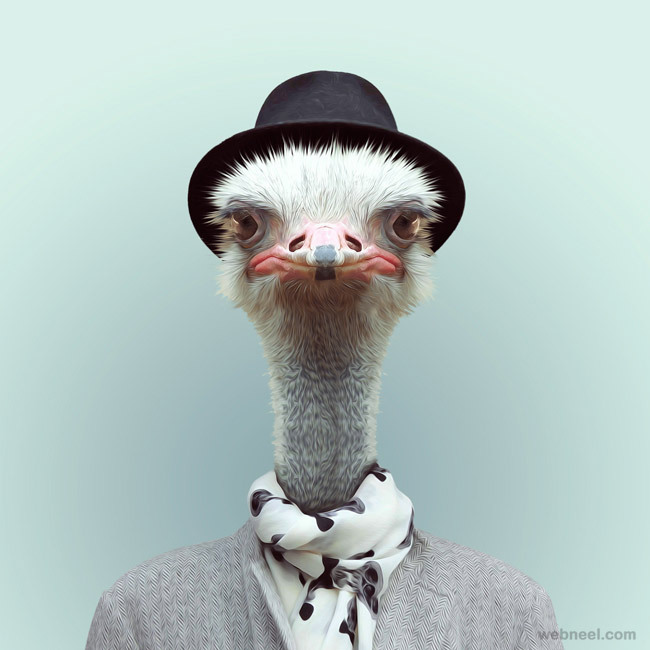 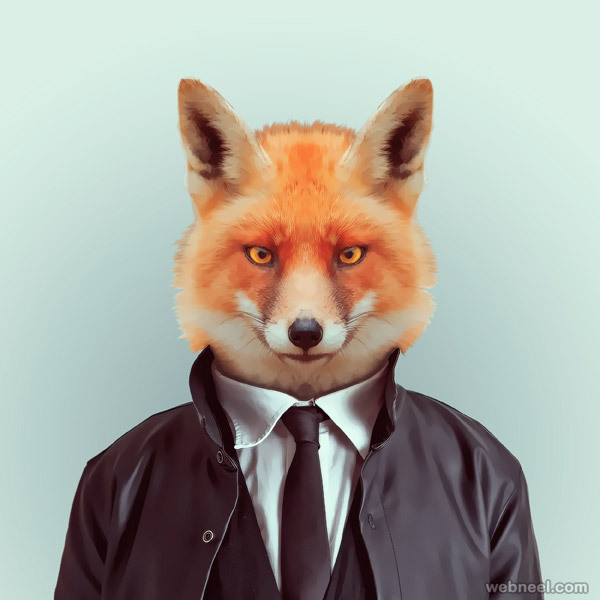 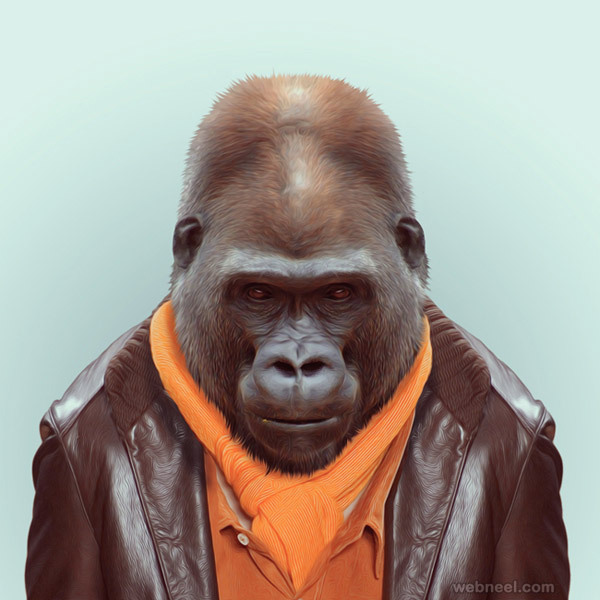 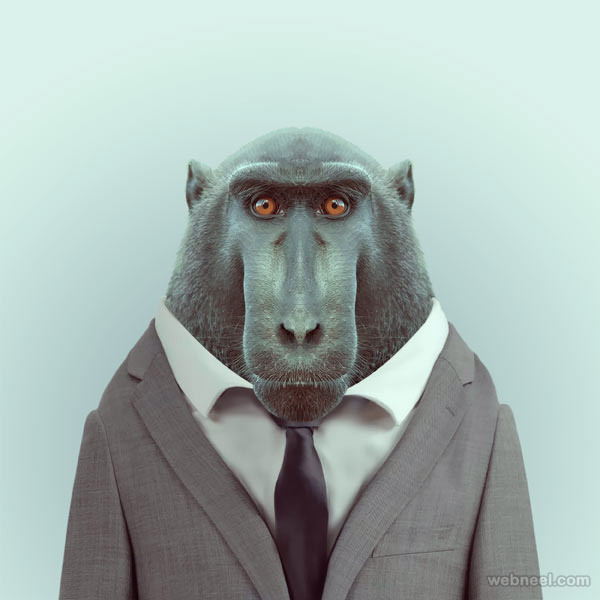 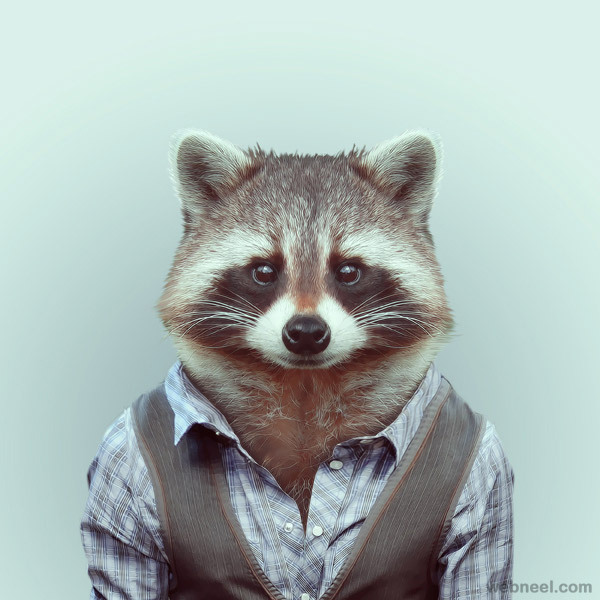 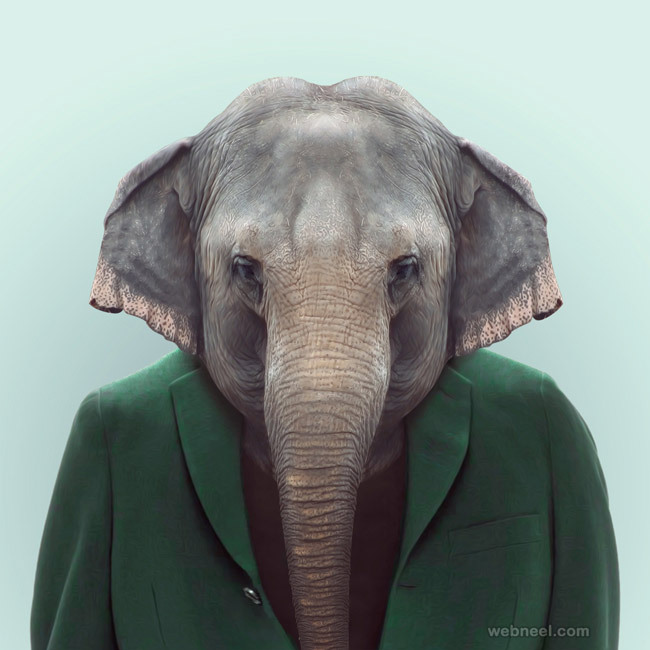 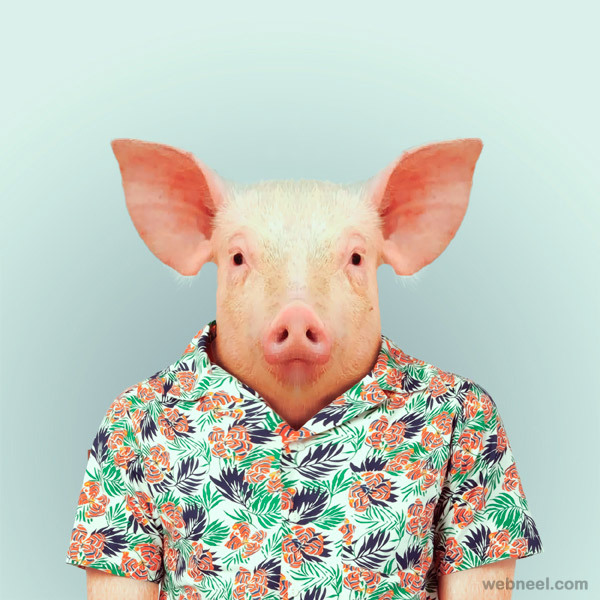 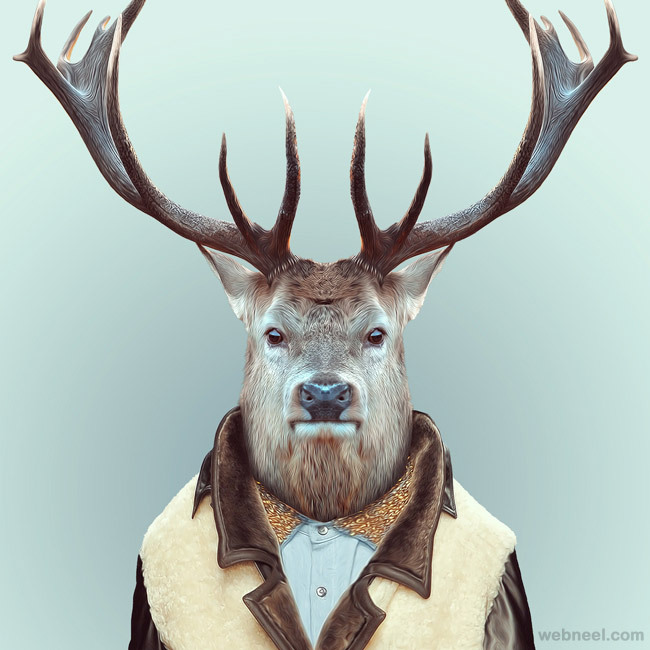 Partal says, "I guess a frontal portrait of an animal wearing fashionable clothes and directly looking at the viewer seems to generate some curiosity in people". 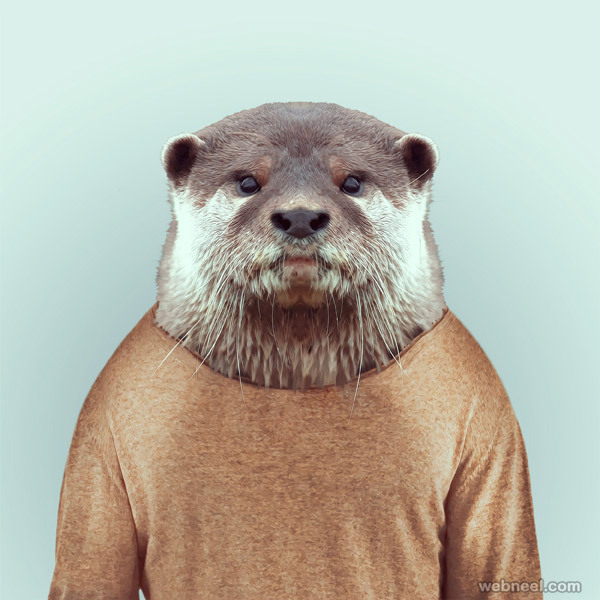 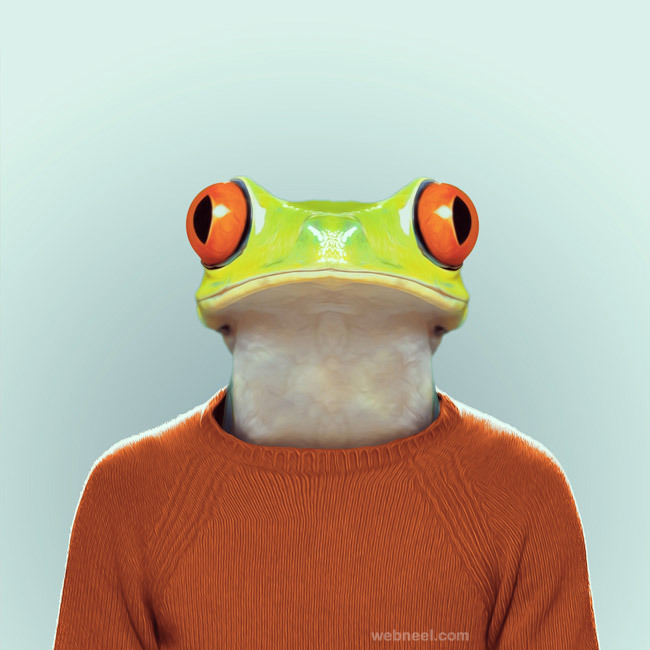 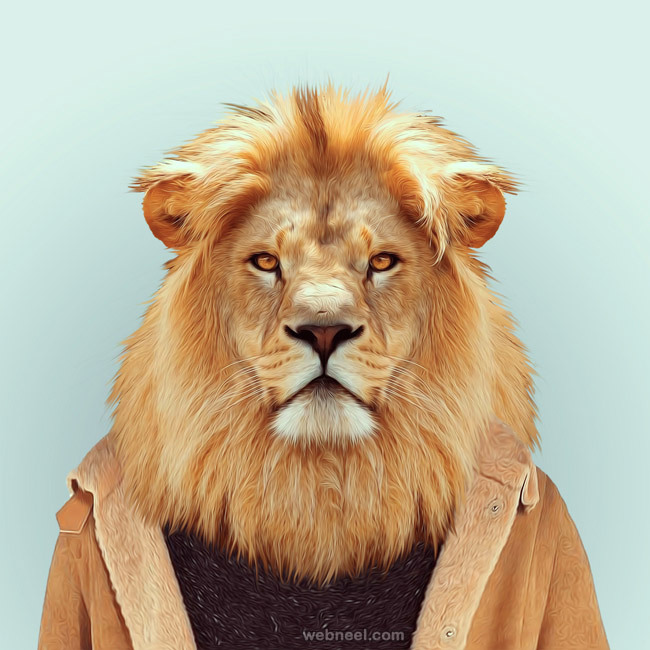 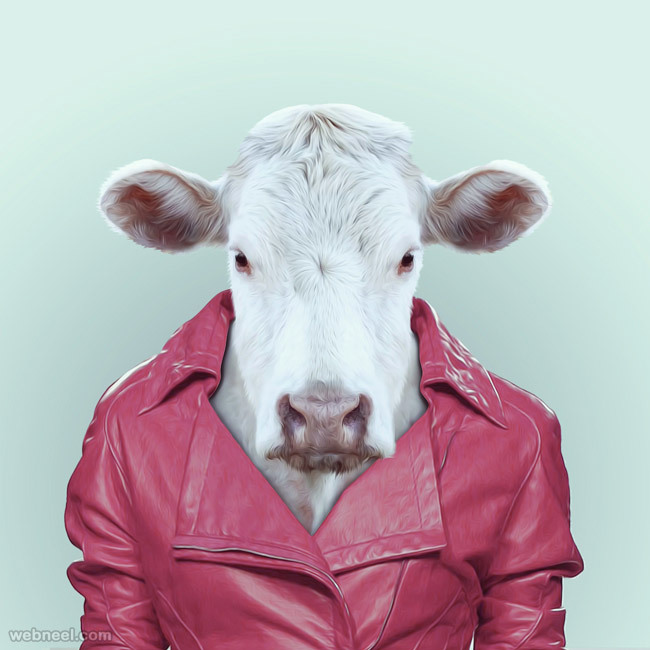 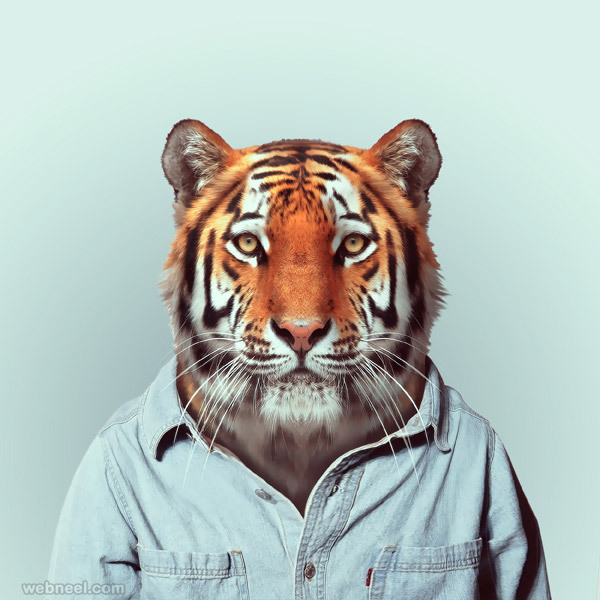 The funny photo manipulation, which is half photograph and half illustration, is still being cherished by viewers and hence Partal continues to produce more animals.